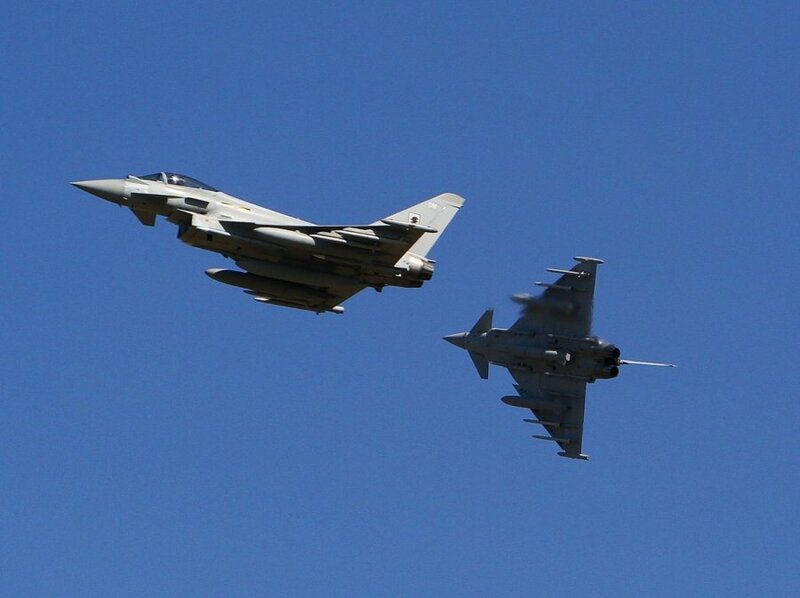 The Italian Typhoon fighter jets, stationed in the Lithuanian northern city of Šiauliai as part of NATO's Baltic air policing mission, were on Wednesday scrambled to accompany two Russian military transport aircraft flying over the Baltic Sea. "An-22 and An-72 planes were intercepted and identified, flying from mainland Russia to the region of Kaliningrad. The Russian planes were flying without a plan but with their transponders on and were in contact with the control center," Donatas Suchockis, a spokesman for the Lithuanian army, told BNS on Thursday. Up to 2,000 Russian troops, mainly paratroopers, are currently taking part in a training event, started on Wednesday, in western Russia near the borders of Lithuania, Latvia and Estonia. The assault on and takeover of an airfield in a hostile country is part of the training scenario, Russia's Defence Ministry has confirmed. Russia has been actively holding military exercises near the Baltic states and other European countries since the start of the war in Ukraine in February, 2014. In response, NATO stepped up its Baltic air policing mission, carried out since 2004, sending in additional NATO fighter jets to Lithuania, Estonia and Poland. NATO jets accompanied Russian aircraft flying near the Baltic states around 150 times last year. There were no such incidents last week.